PayPal and Worldpay are online payment services that allow people and businesses to send payments online without having to disclose their sensitive personal data, such as credit card numbers and bank details. Once you have registered an account with PayPal, you have the option of using your credit or debit card to pay for goods and services; you can also pay money into your PayPal account and use that balance to pay for goods and services; or in the alternative you can set up a facility whereby PayPal can use money directly from your bank account to pay for purchases. Making purchases is simple when you use PayPal. When at a checkout on a website, just select the PayPal emblem as your chosen payment option. This will take you to a PayPal page from which you can choose to pay using the method you wish. Once you have paid the recipient, they will receive an email notification from PayPal that you have sent them money. PayPal can be very convenient for people who like to shop online as they no longer need to type credit or debit card numbers into each check out every time they want to buy something. It is also free to use for purchasers. However, one downside is that not all merchants accept PayPal. If you are looking to receive payments through PayPal, there are fees involved. Nevertheless, consumers generally appreciate the option to use PayPal as it provides peace of mind and allows them to shop with confidence without revealing personal information. Worldpay is slightly different from PayPal in that only businesses can accept payments using their services. If you are a small business starting up that is considering whether or not to use Worldpay it is worth bearing in mind that they hold onto your money for about four weeks to begin with until you have established a transactional history with them. However, Worldpay can be cheaper than using bank merchant accounts as you don’t need separate merchant accounts for taking online payments and taking payments over the phone. It is also worth considering the ease of the transaction from your customer’s point of view. Worldpay payments are pretty straightforward, but you need to enter your card details; PayPal on the other hand requires registration beforehand but there is no requirement to enter card details when making a purchase. With PayPal you have to go through a verification process if you want to use other facilities such as making payments directly from your bank account. There are other verification procedures, such as taking an automated call on your landline, that enables you to become a verified user on PayPal. Both Worldpay and PayPal offer consumer confidence and a convenient way to send money to other people nationally and internationally. 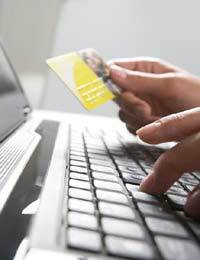 However, it is also important to bear in mind that the protection offered by services such as PayPal in relation to transactions is not as strong as the protection provided by section 75 of the Consumer Credit Act (which allows you to get a refund from your credit card company in the event that a purchase goes wrong, e.g. if the company you buy from goes into liquidation or you lose out another way). If you have paid for a purchase via PayPal or Worldpay, section 75 no longer applies.